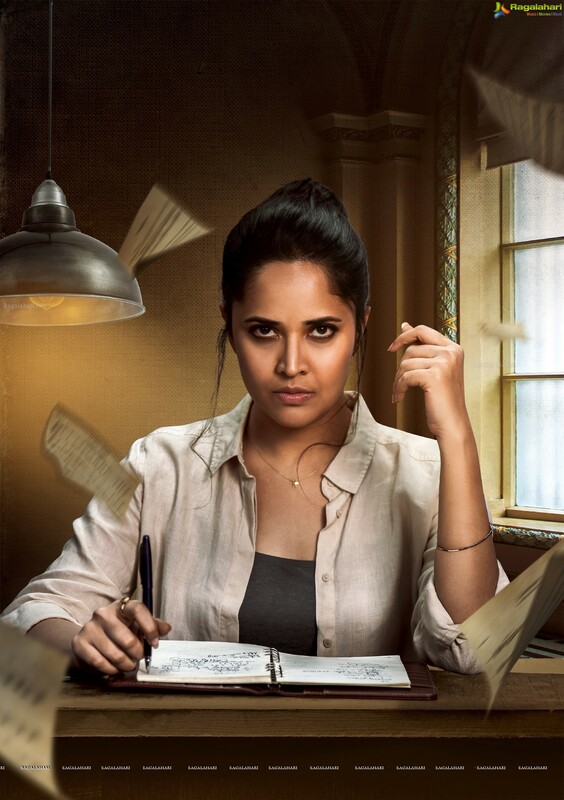 Anasuya’s solid look from Kadhanam! Anasuya Bharadwaj, who is enjoying the small screen stardom, has wowed audience with her big screen appearance occasionally. Be it a bubbly role opposite Nagarjuna in ‘Soggade Chinni Nayana’ or powerful police officer role in ‘Kshanam’ and as Rangammatta in blockbuster film ‘Rangasthalam’, Anasuya impressed everyone. Now, we can see her in another powerful role in ‘Kadhanam’. Kadhanam is being directed by Rajesh Nadendla. The Mantra Entertainments as presenter, Battipati Narendra Reddy and Sarma Chukka are producing the film under Gayatri Films banner. Sunil Kashyap is providing musical scores. The film also features Srinivas Avasarala, Dhanraj, Vennela Kishore and Randhir in important roles. On the occasion of Dasara, the makers have unveiled the motion poster along with the first look of Anasuya. Anasuya’s look is quite interesting and upped the curiosity among audience. Going by the look, she might be a journalist or a writer. Let’s see what magic she is going to create on the screen this time.